I'm excited to welcome Terri Osburn to the Dish today. 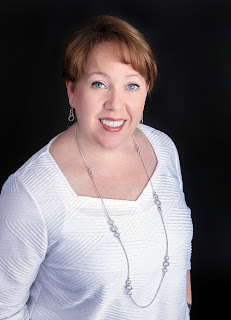 Terri writes contemporary romances filled with heart and sprinkled with humor. Her current series is set within the country music scene in Nashville, a city and industry this former Nashville DJ knows well. Terri recently had a wonderful adventure in Europe and will be joining us today, and again on June 12, to tell us all about it. If you aren't familiar with Terri and her books, visit her website for more information. You can also follow her at Facebook, Twitter, Pinterest, and Goodreads. Big thanks to PJ for inviting me to share my travel adventures with you all today. I was fortunate to spend the beginning of May in Europe—for both work and play—hitting three countries in just over two weeks. We’ll start with the work part. The first weekend was the Festival du Roman Feminin presented by a fabulous group of bloggers called Les Romantiques. The venue was a funky, industrial space in south Paris and the readers were absolutely wonderful. 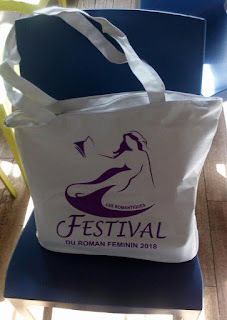 Despite four years of high school French, my communication skills were pretty much non-existent, but the organizers did a great job of providing a translator at every turn. And then there was Bridget. A Brit by birth who lives in Paris with her family, Bridget is a member of Les Romantiques and my good friend. But this was our first time to meet in person after several years of chatting online, and, not that everyone wasn’t wonderful, but I have to say Bridget was even sweeter and funnier than I imagined. So happy to have spent some in-person time together, and I hope we can do it again soon. Back to the work stuff. 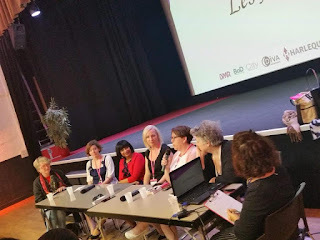 Some of the other English-speaking authors at the event were Sabrina Jeffries, Susan Carlisle, Nancy Herkness, Amanda Bouchet, Scarlet Cole, Alison Roberts, Chris Keniston, Annie West, Lisa Marie Rice, Katherine Garbera, and Nalini Singh. Which leads to some of the highlights. There was getting to meet Annie West and Scarlet Cole for the first time, spending lots of time with Nancy Herkness, having lunch with Sabrina Jeffries and her sweet husband (I was the translator since I can speak Italian restaurant,) catching up with Amanda Bouchet, and being on a panel with Nalini Singh. I’d never before been part of a panel where cameras started flashing from every direction, but when you get to sit two chairs down from Nalini Singh, that’s exactly what happens. (I got to hang with Nalini even more in Berlin and she’s quite possibly the coolest person I’ve ever met.) The event was a smashing success and I would go again in a heartbeat. I have to start out by admitting that I’d already been in Europe for more than a week when I arrived in Berlin, and I was starting to fade. That’s my excuse for the lack of pictures from the beautiful city. I did take some the day of the big signing, which was SO fun. Here in the US, they open the doors, the room floods with people, it gets really loud, and readers shop. Not so at the Love Letter Convention put on by Love Letter magazine, a German publication dedicated to romance novels. At this event, readers line up, get 3 tickets, enter in limited numbers, and get a book for each ticket. When the three tickets are gone, they can get back in line and do it all over again. In two hours I signed ALL of my books, which I think was 75 copies. And there were lots of other signing opportunities, which meant the readers made me feel so incredibly special. One even brought me a large picture of myself to sign. By far the most surreal moment of my life. (My teenage daughter was stunned speechless.) Others stopped me in the hall between events. By the time the weekend was over, I was feeling very Julia Roberts-like. Not that I got tall and skinny and beautiful, but I was in demand. That never happens!! As I mentioned, Nalini Singh also attended this one, along with repeats Susan Carlisle (I think her Oklahoma accent really confused the Germans) and Annie West. I also got to spend time with Ella Quinn and Sarina Bowen, two generous, talented, and funny ladies who kept me smiling throughout the weekend. 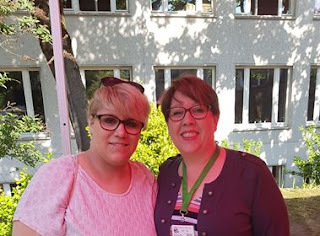 Again, the readers were wonderfully patient with my lack of communication skills, and reader Janina Adelt even sent me the picture that we took together. I could have hugged all of them. Germans may have an international rep for being cold (per the Jägermeister commercial) but they were warm and lovely and made my visit very special. So that does it for the work part of the trip. I have to thank all of the organizers who worked so hard to pull these events off beautifully. If there were glitches, I never saw them. Readers went home with lots of goodies. Writers went home with lots of smiles (and hopefully new readers.) And I think it’s safe to say a good time was had by all. Hope you enjoyed the replay, and next time, I’ll share our touristy adventures in London and Paris. Wait until you see those pictures! Thanks for sharing your adventure with us, Terri. Both events sound wonderful and I can't wait to find out what happens in part two! Readers, have you ever attended a reader/author event? These events are popping up all over the place. Where would you like to see one held? "As an international bestseller, she’s sold more than one million books worldwide." Great to see that you now have a global presence and are probably a millionaire to boot (assuming greater than £1 profit per book)! I guess that Her Royal Highness The Duchess of Sussex may be a romance reader (who isn't!) so if she had known that you would be in the area you might have had an invite to the royal wedding. You would look great in one of those floppy special occasion hats ... and it would have been great publicity. Terri, may I ask about motivation. The romance writer's revenge docked in 2013 so in 5 short yrs it must have taken enormous effort to write so many books. Is the main driver a) money (I don't see $ signs in your eyes) b) artistic fulfillment c) bringing pleasure to so many readers or d) other. Don't answer unless you want to ... I've always been a bit nosy! Thanks for stopping by, Quantum! I agree, Terri would look fabulous in one of those hats! The other is that this is simply the best job I've ever had. (And I loved being a DJ.) I essentially work for myself, set my own hours, and enjoy the heck out of writing these stories. That they reach readers who love them is a bonus I am eternally grateful for. It sounds as if you had a wonderful time, Terri. I have so enjoyed your photographs--the ones in today's post and those you shared on FB. And how great that you were able to spend time with Bridget and to hear that she is as warm and witty in RL as she is online. I look forward to your next post at TRD. Like you, Janga, I'm delighted that she was able to spend time with Bridget. I love seeing readers/authors from different parts of the world who have become friends online having the opportunity to share those hugs in person. Bridget is awesome! But leaves you as the last on the list, Janga. I need that in person hug! [Blushes] It was just as exciting for me, meeting Terri. She was exactly the same in real life as in my head!! In fact, I forgot that we hadn't met 10 years ago or something. I would love to see a book event on Long Island, I know they do have them from time to time in NYC which is a little over an hour away. I have been lucky to attend book signings in a bookstore near me: Nora Roberts, Erin Brocovich, James Patterson, Suzanne Brockmann, Barbara Delinksy and Dave Barry. They were all enjoyable people. Patterson said he can write anywhere and writes several books at a time. Not sure at that time he was collaborating his books. It is a special feeling to meet authors, especially ones that I enjoy. Patoct, you'll be excited to know someone is planning a romance event to be held on the Gold Coast of Long Island. It's in the early planning stages now and the targeted date is Fall 2020. They want it to be a weekend event. Patoct, that's an impressive list! I would love to visit Long Island. The only time I get to New York is for the RWA National conference, which is in Times Square. It's fun to be close to the shows, but I'd love to see more of that city outside the Square. What is the Gold Coast of Long Island? North Shore of Nassau County, my husband tells me. Is that correct? Would love to see one on the South Shore by me. LOL. Cannot wait to hear the deets on the GCoast. Your photos are wonderful and the travel so fascinating and special. I haven't attended a book event lately but there are signings and readings here regularly. Petite, did you see that you're a recent winner? Thanks petite. I hope you get to attend a signing soon. They're so much fun. It's lovely to have a group of readers all together like that. You know you're surrounded by your people. I have attended the RWA2017 in Orlando last year and it was sooooo fun!!! Hi, Patricia. I was there last year! That was nice because the room was huge. Sometimes they put us in a much smaller space and it's tough to move around. Jacksonville would be fun. I'm considering attending something in St. Pete later this year, but it doesn't include a signing. I haven't attended an author event yet, but I keep my eyes open for one I can get to. I haven't done as much traveling in recent years, si it's fun to be an armchair traveler with blog posts. Di, I didn't get to travel at all when I was young so I'm making up for all those trips I missed out on. :) Hope you get to attend a signing soon. They really are lots of fun. I haven't it made it to any events. I sure would like to see an event in NJ someday. I really enjoyed Terri's post. Hi, Carol. Are you anywhere close to Iselin? 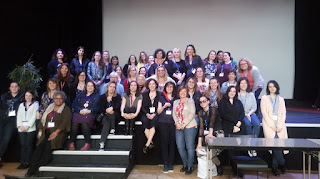 The New Jersey Romance Writers have a small conference ever October that includes a signing. Lots of great authors every year so if it's a short enough drive I highly recommend it. I am one of the readers from the LLC Berlin and you were wonderful. I had lots of fun meeting you and adding you to my TBR. Hello, Alina!! Thank you so much for coming out. I can't even tell you how special I felt after that Love Letter event. You all were so generous and amazing. I haven't attended an author/reader event, but I hope to attend KissCon in Atlanta this fall. Hello! Sorry I'm a week late but I'm playing catch up after another quick trip. (This time to South Dakota, which is gorgeous.) This reminds me that I'm considering attending KissCon as a reader this fall. Must look up the details! I have never attended an author/reader event. I would have to talk my daughter into taking me. I have health issues and my husband would never do this. I hope an event happens close enough for you to attend. Even if just a small event at a local library. Sounds like a wonderful time. I've attended Barbara Vey in 2017 & 2018. In fact I had breakfast with Nancy Herkness who is really quite lovely. Tomorrow I'm going to Ohio for Lori Foster's RAGT. It will be my first time there. I love meeting author friends and new authors. I wish there would be an event here in Minnesota so I don't have to travel. I have been lucky enough to attend RomCon in Colorado Springs in 2013. It was a stop on a 3 week long summer vacation with our 14 year old grandson. We had lived in Colorado Springs 1982 to 1985, so I didn't miss anything when they were out sight seeing. The theme that year was erotica (which I don't read) which made things a bit touchy with a 14 yer old there, even though he was never near much of the event. My daughter still gives me a hard time about it. In 2015 I attended the Romantic Times Convention in Dallas, TX. I drove there and my husband joined me the last two days after which we left on a vacation. RT is a bit overwhelming. It is so large and there is smooch going on. For a first timer it is hard to make sure you don't miss anything. I thoroughly enjoyed them both, but the smaller event gives you a better opportunity to really spend time with authors. Both offer opportunities for participation no matter what genre you like to read. I have attended a few book signings meeting authors that way and only been disappointed once. By and large, authors are friendly, eager to meet their readers, and generous. It is hard to maintain that "image" especially at big events like RT. You can not always be "on" and not get tired. It must leave you longing for extended quiet time. Those events in Europe sound most enjoyable . What a wonderful group of authors. I attended one in Portland, Oregon. It was the Rose City Romance Writers who had a reader author get together and I thoroughly enjoyed it. 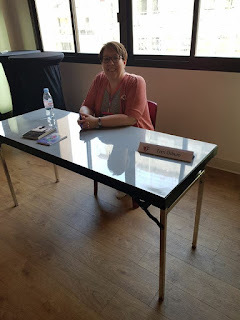 I really enjoy these "Author Abroad" posts, thank you for sharing! would love one in NW Arkansas. I have traveled to Tulsa twice to see authors and was lucky enough to go to a author event for Lisa Wingate this past weekend. Wow, Terri! That sounds like a blast! I can't wait to see your "play" pictures! Thank you for this interview. We were happy and honored to have you at the Festival in Paris. Thank you for the contest. Would love to see one in NYC. I never attended a signing or a convention.